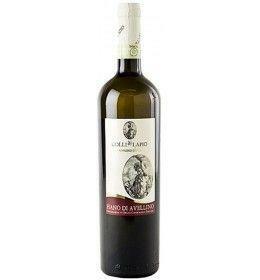 The Fiano di Avellino DOCG by Colli di Lapio is a unique Fiano for finesse, vinified and left to mature in steel tanks only to enhance its natural characteristics, in the best local tradition. White with intense and fine aromas of ripe fruit and linden flowers, stands out for balance and elegance, will give beautiful surprises even many years later. THE WINE The Fiano di Avellino DOCG by Colli di Lapio is a unique Fiano for finesse, vinified and left to mature in steel tanks only to enhance its natural characteristics, in the best local tradition. White with intense and fine aromas of ripe fruit and linden flowers, stands out for balance and elegance, will give beautiful surprises even many years later. 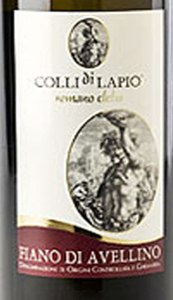 THE COMPANY The company Colli di Lapio of Romano Clelia comes from the passion for viticulture that has been handed down for generations in the Roman family. 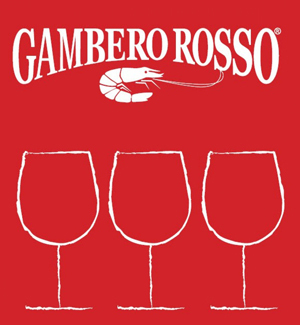 Founded in 1994, the company is located in Arianello, a small village in the municipality of Lapio, Irpino country located about 550 meters above sea level, with a dry and breezy climate. Lapio is the largest production center of Fiano di Avellino D.O.C.G and also one of the few municipalities to boast the double name of Fiano D.O.C.G. and of the Taurasi D.O.C.G. From the cultivation of the prestigious Fiano and Aglianico grapes, a quality wine is produced, produced in limited quantities, the subject of careful wine-making practices and scrupulous selection. The result is a product of superior quality, which immediately established itself on the market and is now appreciated both in Italy and abroad. From the cultivation of the prestigious Fiano and Aglianico grapes, a quality wine is born, in limited quantities, object of careful wine-making practices and scrupulous selection. The result is a product of superior quality, which immediately established itself on the market and is now appreciated both in Italy and abroad. Before 17,65 € tax incl. Tasting Color: bright straw yellow. Bouquet: beautiful notes of hay, cedar, apricot and hazelnut. Taste: clean, tense, full and satisfying. Long and harmonious, clean and persistent finish. The company Colli di Lapio of Romano Clelia comes from the passion for viticulture that has been handed down for generations in the Roman family. Founded in 1994, the company is located in Arianello, a small village in the municipality of Lapio, Irpino country located about 550 meters above sea level, with a dry and breezy climate. Lapio is the largest production center of Fiano di Avellino D.O.C.G and also one of the few municipalities to boast the double name of Fiano D.O.C.G. and of the Taurasi D.O.C.G. From the cultivation of the prestigious Fiano and Aglianico grapes, a quality wine is produced, produced in limited quantities, the subject of careful wine-making practices and scrupulous selection. The result is a product of superior quality, which immediately established itself on the market and is now appreciated both in Italy and abroad. From the cultivation of the prestigious Fiano and Aglianico grapes, a quality wine is born, in limited quantities, object of careful wine-making practices and scrupulous selection.